I recently purchased the Nokia Lumia 1020 phone. As an Apple ‘fanatic’ I’d never thought I would switch from the iPhone to a Windows device, but the steep price of the iPhone 6 and the excellent 41 MP camera of the Nokia made me do it. I never really cared about the amount of mega pixels and have always been focusing on quality of glass (hence the love for my Leica M8, which has only 10MP), but I have to say that having so much real estate with the picture resolution, it means that you have an awful lot of room to play with in terms of composition. 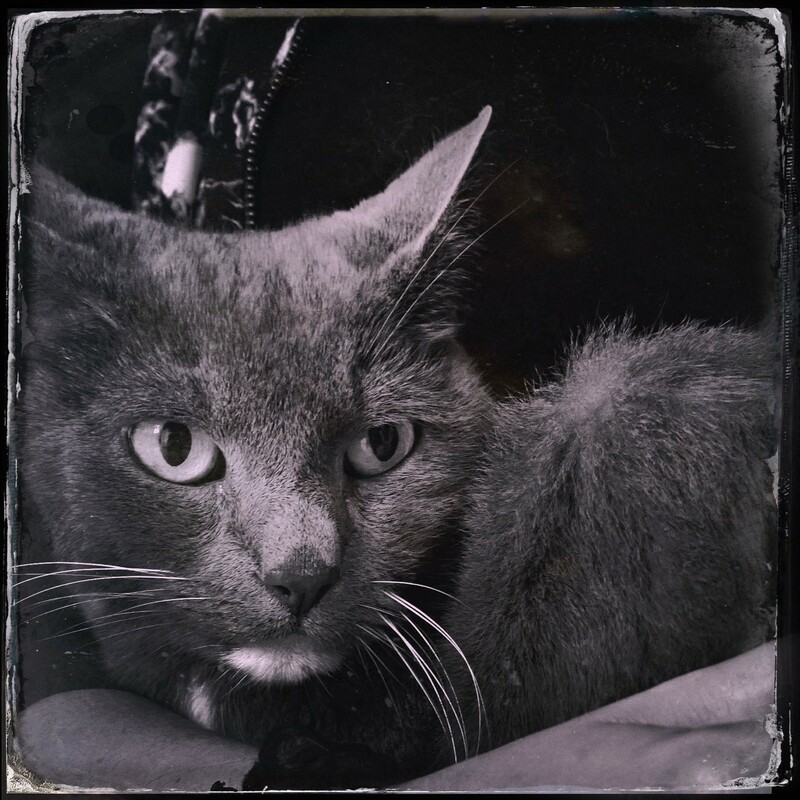 This picture of one of our cats chilling on the lap of our my daughter, edited within the awesome Oggl app of Hipstamatic, is about one tenth of the original picture and still shows quite a lot of detail. That’s the beauty of photography; although I tend to state that is all about the photographer and not the equipment, new equipment opens new opportunities for creativity. I truly love wet plate photography. Very labour intensive, but the results are amazing, stunning and magical. Having said that I don’t aspire to actually do wet plate photography myself. I requires patience, time and dedication I simply don’t have. So, the picture you see here is shot with the Hipstamatic app on my iPhone. The results are surely not on par with the real thing, but sometimes quite pleasing like this one. 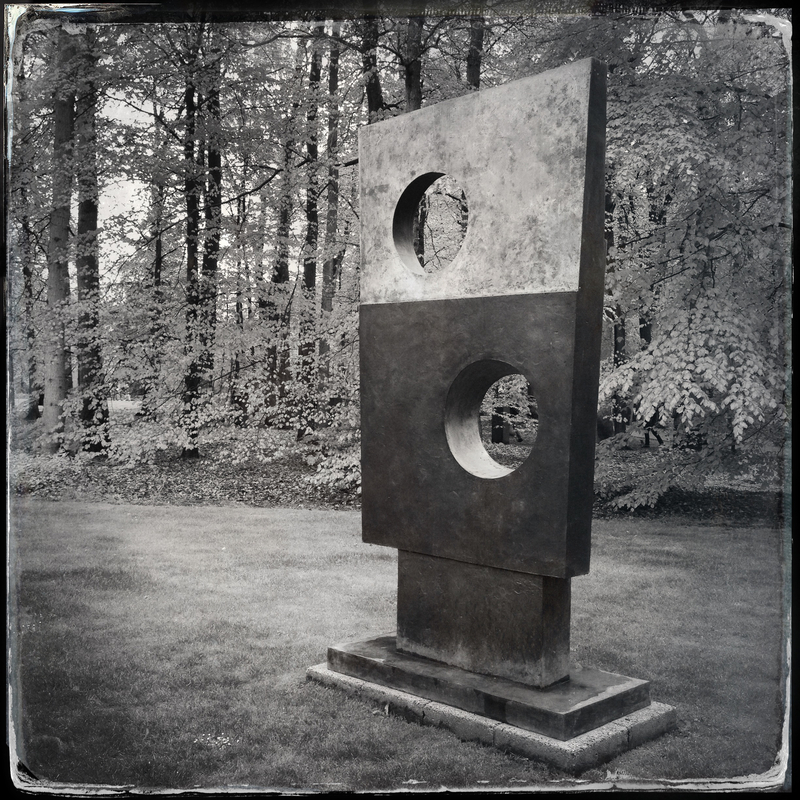 This piece of art ‘Squares with two circles’ is made by Barbara Hepworth in ’63-’64. The shape of this piece and the contrast of color and shapes inspired me to use the wet plate preset. If you are interested in real wet plate photography, make sure to check out the excellent work of this photographer.